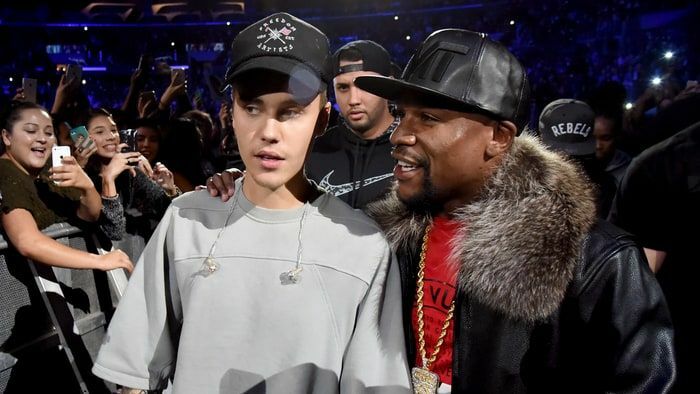 Floyd Mayweather and the Justin Bieber may no longer friends following a new move by Justin Bieber. He has been getting counseling at the Hillsong Church, and reportedly unfollowed Mayweather on instagram. He was advised to pull back from those who are bad influences and Mayweather seems to be part of those in his negative memories. It seems days of being buddies with Justin Bieber is over. This move by Justin Bieber who once accompanied Mayweather to the ring for several of his high profile bouts, got Mayweather “insane, nuclear” according to sources. TMZ Sources stated that Mayweather called Bieber a “traitor” because he had always been by Bieber’s side, even when he faced backlash from the media and fans. . It has also been gathered that Bieber who has been “resetting boundaries” which included keeping away from Mayweather’s obsession with strip clubs, won’t be showing for Mayweather’s superfight against McGregor and that Mayweather remains “incensed” that his longtime friend has decided to sever ties with him.